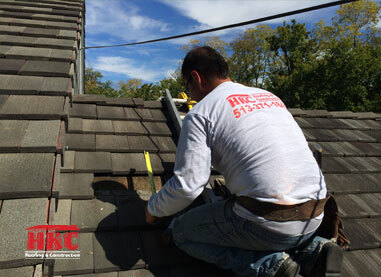 HKC Roofing takes great pride in repairing, restoring, maintaining and installing tile roofs in Cincinnati and Northern Kentucky. Tile is a great building material when considering a long-term roofing product. Tile roofs have been around for a very long time. There is documentation dating as far back as 650 BC, showing where fired tiles began replacing thatched roofs near Corinth, Greece. For centuries thereafter tile roofs have been a top choice around the world, covering some of the most distinguished and most beautiful architectural masterpieces. 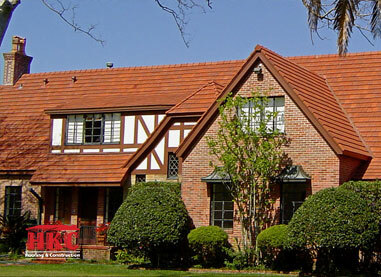 The history and proven success of tile roofing speaks for itself. They are simple roofs made of fired clay, uitilizing underlayment on a wood deck — ingenious, effective, and incredibly successful. Yet, in the United States, they have been under intense and relentless attack for decades, destroyed by the thousands, cast away and forgotten. The culprit, in one word, is ignorance — in two words: roofing contractors. 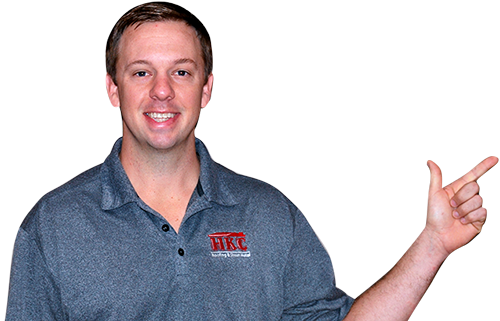 Tile roof owners are now plagued with two problems: roofing contractors who do not understand tile roofing systems, or no tile roofing contractors at all. If a tile roof is in need of repair, maintenance or restoration, what’s a roof owner to do? All of this is true for slate roofs too, of course. The best course of action one can take when owning a house or building with a tile/slate roof is to educate themselves. This is the only way you can fend off the 95% of roofing contractors who will try and talk you into tearing-off a perfectly good roof so they can nail on an asphalt shingle. If you have the pleasure of owning one of these magnificent roofs, call HKC Roofing to get an assessment. We’re happy to share our passion for tile and slate roofing with you. We’ll provide you with professional tips for maintaining these roofs so you can enjoy their charm for many more generations to come. We can almost always find the right color, style, and size of material to match your roof.